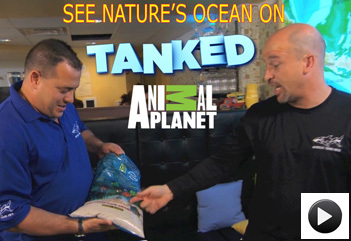 Nature's Ocean® Premium Marine Products - World Wide Imports Ent Inc.
Live Aragonite Reef Sand & Substrates - Ideal for reef system tank bottoms, denitrifying anaerobic beds, extremely high surface area filter media. 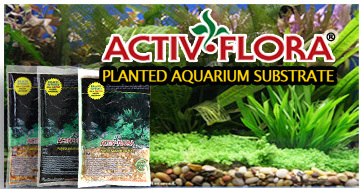 Premium Fresh Water Substrates for your aquariums, ponds, terrariums, gardens, potted plants, architectural surfaces, & play sand. 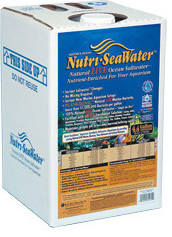 Premium All Natural LIVE® Substrate Specially Packaged in LIVE® Fresh Water For Instant Cyclying® Of Your Betta Aquarium and Fresh Water Aquariums. Natural crushed coral sand. Maintains superior pH and marine chemical balance. Natural White Sand. 100% Natural. Will not alter the chemistry of your aquarium water. Non-toxic. 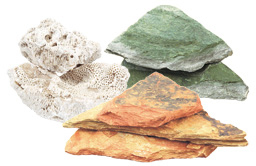 100% All natural freshwater rocks for aquariums and marine base rock. ProCalcium Sand® creates an all-natural habitat for hermit crabs. and External Abrasions. Significantly lowers risk of impaction in reptiles.